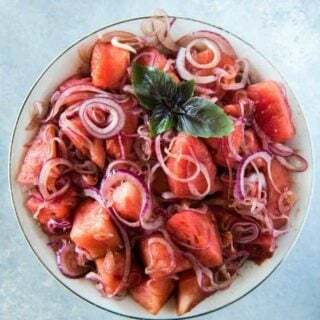 This watermelon red onion salads is one of those healthy watermelon recipes that is so fast and easy and GOOD, you won’t believe it. This summer salad is easy for picnics and fast side dishes. The combo of ingredients might sound scary. Be brave, you’ll be so glad you gave it a try. This watermelon salad is an old-school church potluck classic. From “the good ol’ days”. 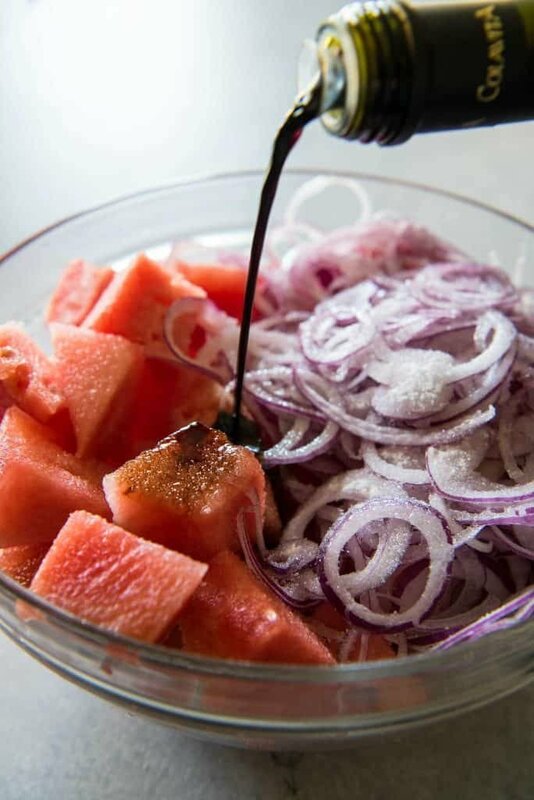 The name Watermelon Red Onion Salad is a bit scary, don’t you think? But the recipe was found while trying samples at a local grocery store. It’s light, delicious, and absolutely perfect for summer. This is one of those things that kids will look at and be afraid of, adults may be a bit weary, but anyone who is brave enough to try it will immediately be raving and praising you on your genius. It’s like goat cheese. Some people try it and adore it, eating it often. Others are too afraid to try it and just assume they’ll hate it, but they’re missing out on the creamy delicious goodness. You’ve just gotta try it. 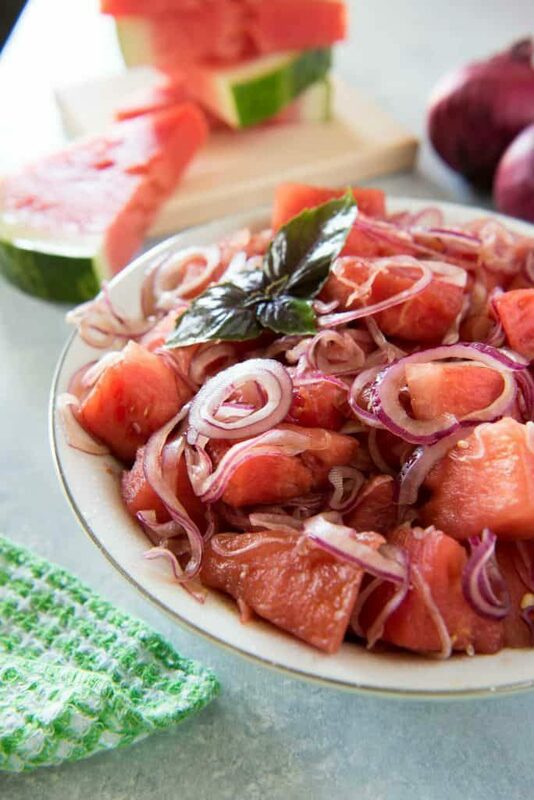 Watermelon Onion Salad is both sweet and bitter, a perfect side dish for your next gathering. Easy to make, good for you, and great for barbecues! 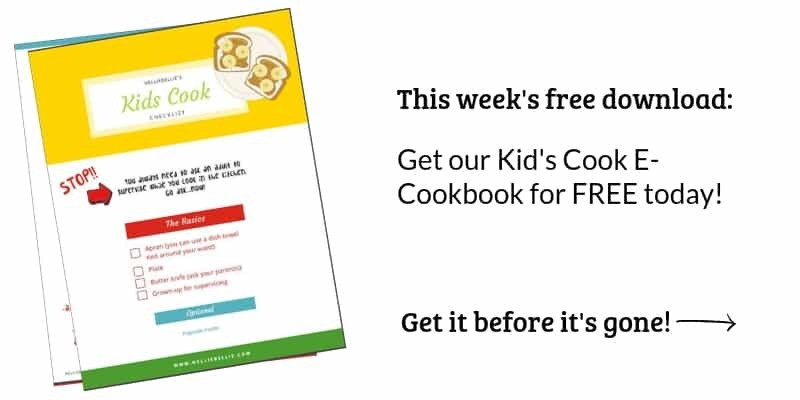 Most of this recipe is made with things you’ll probably have anyway. It’s summer, you probably have a watermelon you bought because they’re on sale and c’mon, you’ve gotta have a watermelon for the Fourth of July. Well, take half of it (because you don’t need the whole one anyway, it’s too big) and use it in this recipe. Now, you’re not only the person who brought watermelon, but the person who made a delicious salad! It’s refreshing and interesting. You won’t eat tons and tons of it, but you will enjoy every bite! Give it a try and be surprised! Let sit at room temperature for several hours. 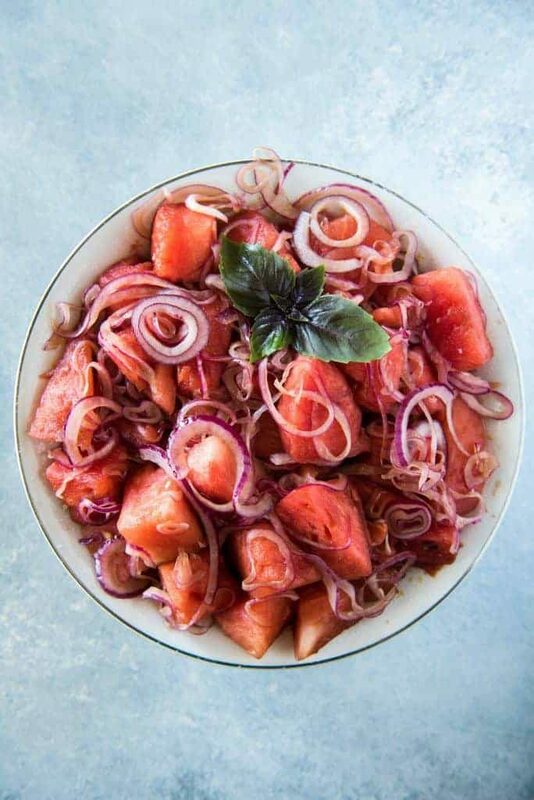 So, if you are looking for an easy and healthy addition to your summer salads…give this Watermelon Red Onion salad a try! !